As we turn the calendar to the New Year, I am reminded of the transitions we are all experiencing, be it a transition in our government, in our resolution to hold a new intention or the transition into a calmer and cleaner home after the bustle of the holidays. 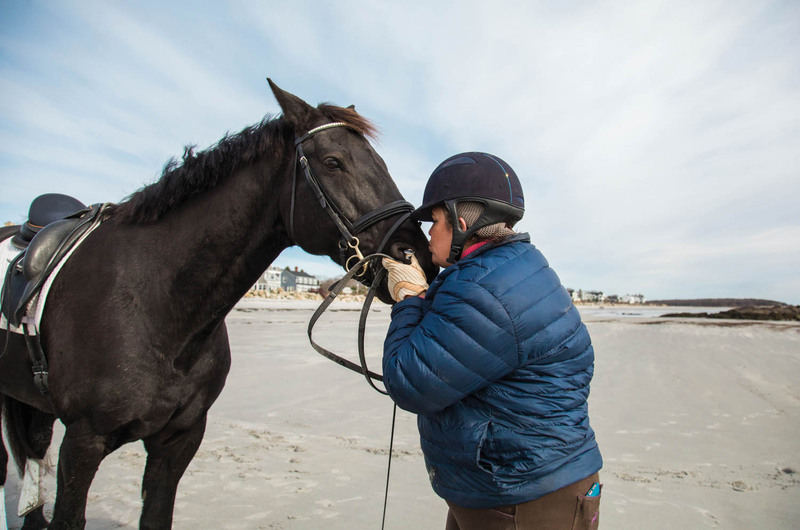 It is during this time of the year that I can be found hacking my horse, Milo, along the beach, where the scenery provides the ideal place to contemplate just how many transitions we all are embracing. 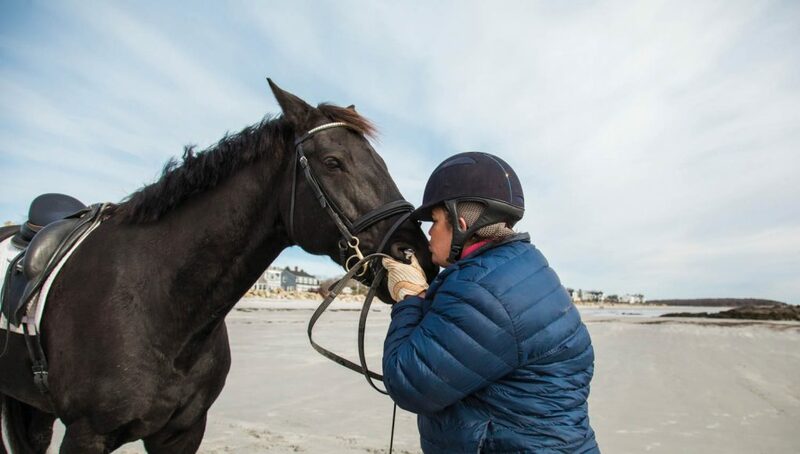 With Milo, I compete in the sport of dressage, one of the original modern Olympic sports and one of only two sports that allow men and women to compete on equal footing regardless of age (the other being sailing). 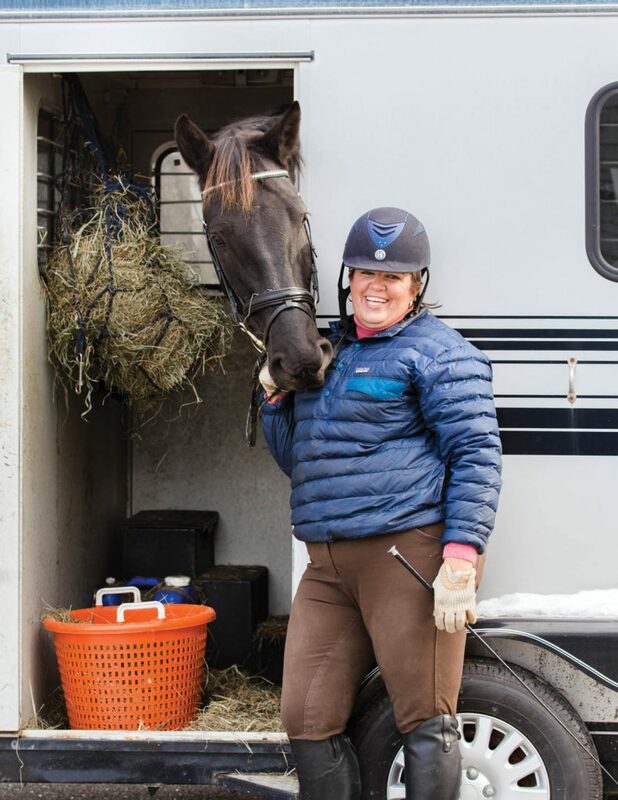 Dressage is this maddeningly beautiful pursuit of training a horse and rider to develop obedience, flexibility and balance—originally so that soldiers could go to battle with the best partner for combat. I’m never going to the Olympics, but regardless of the level where one competes, the principles of connection, rhythm and consistency are in every step and stage. Arguably the best dressage rider in the world is a humorous Englishman named Carl Hester. He is infamous for saying that the best rule of thumb for improving one’s skills and performance is to complete 200 transitions a day, every day. 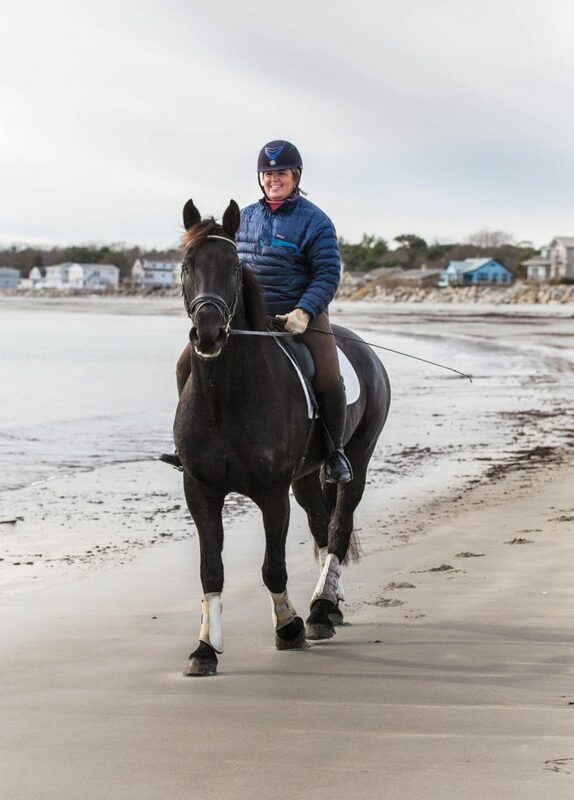 That’s 200 changes in gait and direction: canter to walk, trot to halt, 10-meter circle to shoulder-in. I can assure you that most people don’t do anything close to 200 transitions in their rides, every day, with harmony and balance. It reminds me that regardless of where we are, be it at work, around the kitchen table, in the gym or even on Milo—life takes a remarkable amount of transitions to keep our own balance, rhythm and connection. Sarah Adams lives in a small cottage her great-grandfather built in the late 1930s, across the street from her family’s Christmas tree farm in Kennebunkport. She loves working for Lewiston-based Continuum Health Services, where she has worked in each of their Senior Living communities for the past 11 years. We want to know what makes you feel fantastic, powerful, on top of the world. And we’ll highlight you in these pages. Email MWM editor Mary Pols at mpols@mainewomenmagazine.com.